This entry was posted on July 19, 2011 by Sports Traveler. The British Open is the oldest tournament of the four major golf championships. Established in 1860 at Prestwick Golf Club, the Open Championship (more commonly called), has become a fan favorite for years. The design of each course used during the Open always excites and baffles fans, as well as the players. The golfers have to battle with strong winds, deep bunkers, high grass in the fairways, and exceptionally strong rough. 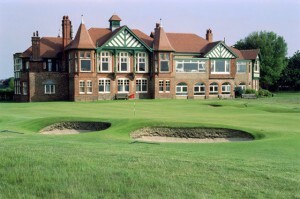 The 2012 Open Championship will be held at Royal Lytham & St. Annes Golf Club in Lancashire, England. This will be the 11th British Open hosted by this course and the first since 2001, when David Duval won his only major. 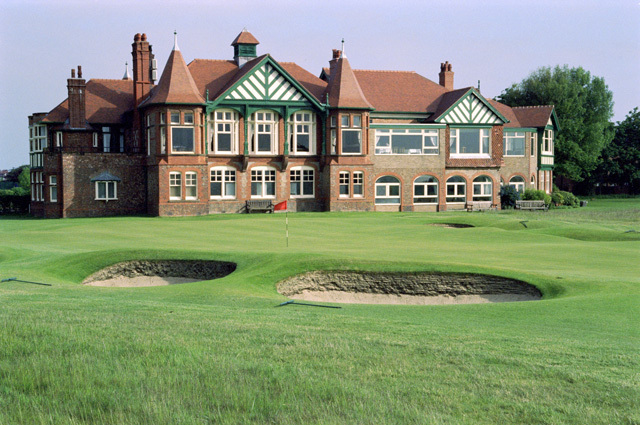 Royal Lytham & St. Annes Golf Club is known for its par 5, 601 yard hole on 11 and 196 par 3 on the following hole. The course has 206 bunkers on the course (including 15 on hole 13) and holds the distinction of the only Open Championship course that begins with a par 3 hole. One of the most famous parts of Royal Lytham & St. Annes Golf Club is the "Murder Mile." The "Murder Mile" begins on the hole 13 and concludes on hole 18. All golfers will be battling six consecutive par 4's that measure over 2,000 yards, with hole 14 & 17 being 464 and 467 yards, respectively. Join Sports Traveler in 2012 to see the final rounds on Saturday & Sunday at the Open Championship. The fun does not have to stop there. Following the tournament, we will bring you to St. Andrews, Scotland where you will play three rounds of golf, including one guaranteed round at the historic Old Course! Do not miss out on this once in a lifetime opportunity. View our 2012 British Open Packages before it sells out.